6. Astro-Remedies for Tough Times. Learn how to recognize how astro-archetypal energy patterns FEEL and what to do about them. Click here for details. Classes begin Oct 1 in Austin, TX. For more information on sponsorship click here. There’s a lot here. Click on the menu items to the left to see the items in this newsletter. What’s here? Classes for non-astrologers on recognizing and dealing with energy patterns in your life. Free lecture Monday the 28th. Bring your chart and we’ll look at it! Article on where the 2012 shift is likely to take us. Article on the fractal nature of astrology, and how to look at your own life in fractal segments. Visualization for manifesting your desires… a Rerun. How to reach me, get a consultation, etc. Would you prefer to receive ONE item per newsletter (with more frequent newsletters), or do you prefer variety, all at once? Let me know! Pssssst! Secrets of Sabian Symbols and Saros Cycle Symbols. Audience-Participation session—bring your own birth chart/birth data!Many astrologers have glanced at Sabian Symbols, but did you know that Dane Rudhyar outlined a way to use them to determine your life goals and the process best suited to reaching them? What’s more, you can apply this technique to your progressed chart to understand approaches, goals, and processes for each year of your life. Bring your chart/chart data with an exact birthtime and raise your hand…. And did you know that an eclipse taking place 1500 years ago actually has resonant links to your life today? 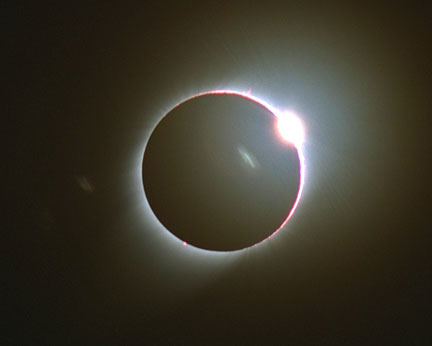 We’ll look at the Saros Cycles Symbols for your prenatal eclipse (based on the first eclipse of the over 1500-year eclipse cycle) and get a glimpse into your own “preset” personality or life conditions. These are easy techniques to learn and use, and this session will teach in an audience-participation session, using audience charts for examples. According to the Mayan Calendar, we are already in the period of time leading to the close of the Fifth World Age. And according to the evidence of your senses, we are clearly living in a time of profound global change. Forgetting for a moment all the apocalyptic hysteria, what might we expect from this shift? A world age shift doesn’t happen overnight. Despite having an “end date” in mind (and there is scholarly argument about this exact date), the years preceding that date imply the ending of the old age, and the new date is only the beginning of the new. What can we realistically expect to change? What big sky energies are battling it out in September? Here’s a short video with SOME of the many patterns we’re experiencing now. LEARN MORE …about getting an astrological consultation from Anne Beversdorf! Clients rave about Anne’s deep insight into their personal lives and the practical ideas for moving forward. A recent client commented “I came to you in deep despair and even though nothing has changed, I’m leaving this session with renewed joy and optimism”.